Our unmarked vehicles will ensure your privacy. More Than 25 Years of Experience Serving Chicago’s Western Suburbs. Free Phone Estimates and No Contracts. Are you searching for an experienced pest control company that serves Wheaton,	Naperville, and the surrounding area? At Greathouse Pest Control Services,	we have over 25 years of experience in the pest control industry, and	we offer excellent service. Regardless of whether the infestation at your	home or business is large or small, our team of experienced technicians	can help you rid your property of unwanted pests. Please contact us at	(630) 668-8700 if you would like to schedule residential or commercial	pest control services in Chicago’s western suburbs. When you have an insect or rodent concern at your home or commercial property,	you need a pest control provider capable of addressing the issue quickly	and effectively! With Greathouse, you can be sure that our experience	solving pest problems right here locally has helped us to develop an extensive	set of effective pest control practices. We are licensed by the state of Illinois. We use unmarked vehicles that help protect your privacy. 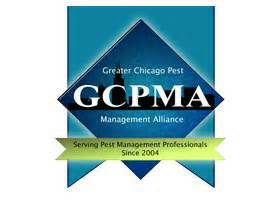 Furthermore, we are certified members of the National Pest Management Association,	the Greater Chicago Pest Management Association, and the Illinois Pest	Control Association. This keeps us up-to-date on the latest pest control	trends and techniques so we can do a better job ensuring that your property	is pest-free. Do not delay calling a professional address your pest problem. The longer	you wait, the more severe the problem may become! Contact Greathouse Pest Control Services at (630) 668-8700 for a free estimate.